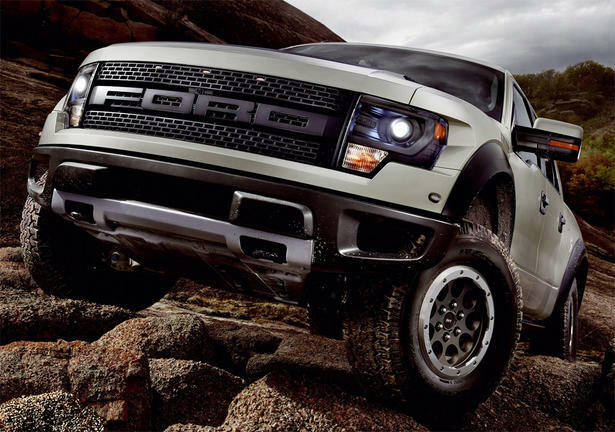 The 2013 Ford Raptor will host a variety of new technical and mechanical upgrades. 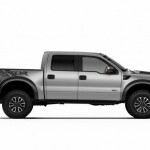 It is exciting to see that the initial enthusiasm Ford brought with the first Raptor has not been lost. Sometimes improving on an already great offering can be difficult, but Ford is continuing to find ways to improve on their successful off road ready race truck line. A few things we were wondering about here at SocalPrerunner are being addressed with the new 2013 model. The Raptor comes with forged aluminum wheels from the factory, but in 2013 buyers will have the option to upgrade after their purchase to beadlocked rims. Since many of you know that a true beadlocked wheel needs to be completely forged, it is nice to see that Ford is providing a base wheel which can be easily converted. The Raptor comes with a decorative (fake beadlock) ring that is bolted to the wheel. Simply remove this ring, take off the tire and remount in the bead lock position. Then with the newly purchased beadlock ring kit just purchased from the Ford dealer, install back on the rim and get to off roading! Whats unique about this is simply the fact that it hasnt been done before. Don’t discount the major US automakers yet, as this innovative new feature is now patent pending. The Ford raptor comes equipped with the high performance SYNC entertainment and communication management system. SYNC is the software responsible for running the hands free, voice activated control over the drivers cell phone and over the vehicles stereo system. 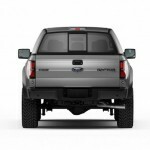 With the new 2013 model, the Raptor will now include a 4.2″ LCD screen to control the MyFord driver platform. When the 4.2″ screen just does not cut it anymore, an option to upgrade to an 8″ screen is always available. The larger screen is mounted on the steering wheel with five way controls! The smaller screen still remains in the instrument cluster to control the trip computer, manage the fuel economy, and setup the gauges’ different features. For the blue collar workers or extreme race enthusiasts with full racing gear, Ford includes bigger knobs so that you can control the system while wearing gloves. The 8″ screen can also power a voice controlled nav system that can be loaded with custom maps. One last technological feature of note is the added rear camera for backing up in those sticky cliff edge situations (or the grocery parking lot). Impressive upgrades in 2012 will still remain on the truck such as the front mounted camera with dedicated washer system to keep the picture clear. The camera transmits the slightly downward camera to the console screen for navigation in even the toughest of terrain and extreme rock crawling situations. This is especially useful when driving up a slope where the only view from the windshield is into the sky! The 2013 Ford Raptor still comes with the leather and cloth combo seats. The drivers seat is a six way power adjustable seat. Each seat is specifically designed to keep the driver and passenger securely in the seat. This is definitely important when the truck is being driven off road. The steering wheel has leather trim with driver thumb pads. 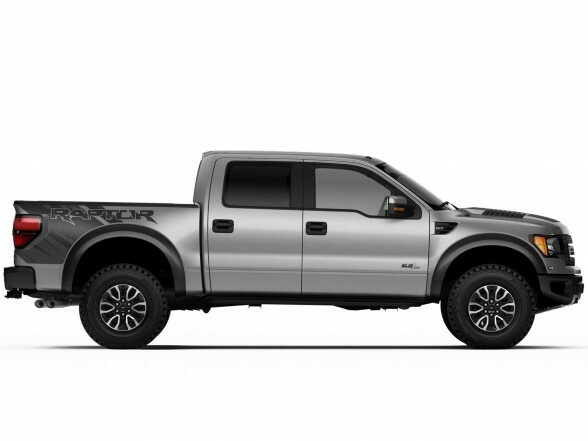 The optional luxury package available for the Raptor contains extra enhancements and modern conveniences. Extra visual flare can be achieved by choosing the interior color accent package. This package accentuates certain features of the truck by means of aluminum coated parts, and contrasting colorful elements with black backgrounds. While all of these interior upgrades are available for the high end consumers, cloth sport seat are still available for the less luxurious inclined customers. Whats one way to get even more rubberneckers checking out the Ford Raptor, adding a new exterior look! The most exciting visual announcement is that of the desert camouflage option for the Raptor. While it is always possible to get a custom vinyl wrap from your local dealer, it is impressive that Ford is offering this option direct from the factory. 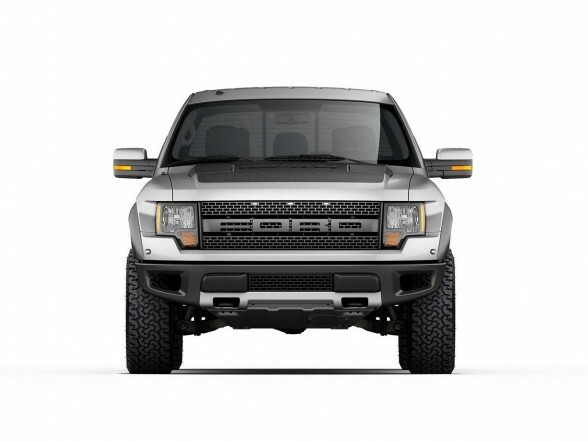 Aside from the unique camo the Raptor is still available in Blue Flame metallic, Ingot silver metallic, oxford white, race red, and tuxedo black metallic. The 2012 Ford Raptor SVT was available with a new offering from ford, the 6.2 liter V8 motor which was capable of outputting 411 horsepower and 434 ft-lbs of torque. The electronic six speed transmission proved to be up to the challenge of actually delivering this power to the wheels. The transmission also boasted a towing and hauling mode which could be electronically activated from the SelectShift feature. The 4WD drive system will continue to include the limited slip differential called Torsen. This is just like normal limited slip differentials but it is for the front wheels to help balance traction in tricky off road situations. If one wheel looses traction the system automatically transfers torque to the opposite wheels in the hopes of enabling the stranded wheel to find traction again. 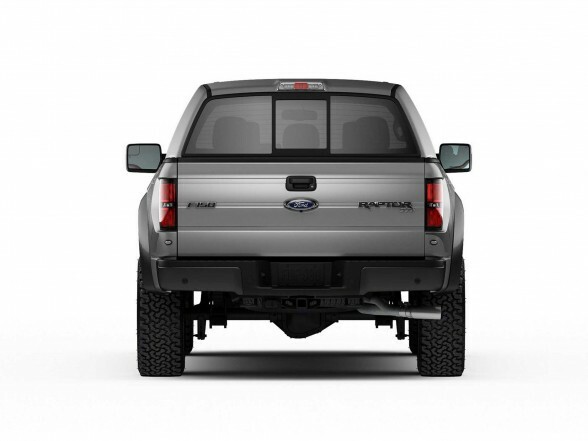 In situations such as rock crawling it is imperative that the steering kickback is minimal and Ford claims that there are features in place to keep the kickback low. The front axle differential is a 4.1:1 gear ratio while the rear axle shares the same ratio it is equipped with electronic locking differential. 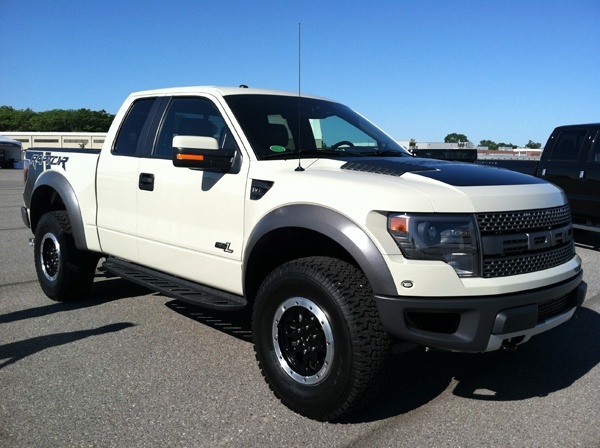 The 2013 Ford Raptor is definitely an impressive and well engineered street legal race truck. Ford was able to a blend modern and luxurious interior with an aggressive body style and rugged chassis. Ford will continue to use internal triple bypass Fox Shox to provide that cloud 9 experience in off road environments. The shocking no compromise attitude from the engineers at Ford has rendered a completely race ready truck in an affordable package. Usually trucks like this are resereved for racing super stars, but with the availability and ease of use even your neighbors mom might come home with a 2013 Ford Raptor!